Here you find Addons for Blender. 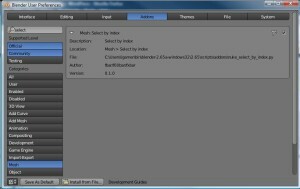 Note: this version is for Blender 2.65a, backward compatibility has been removed. 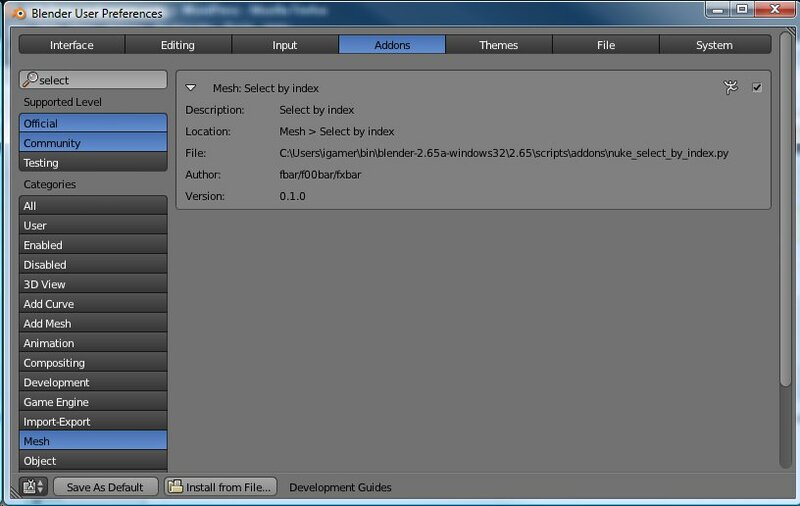 Python addon for Blender 2.65a, creates copy of active mesh with vertex order of selected mesh. 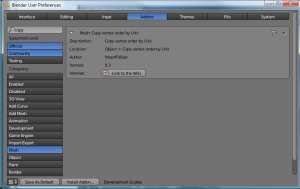 The addon requires that the UV-Mapping of both meshes is identical. 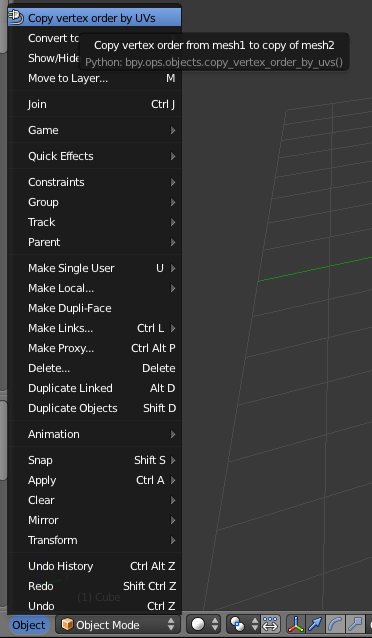 Activate in addon section 'Mesh', adds new option to standard 'Object' Menu. 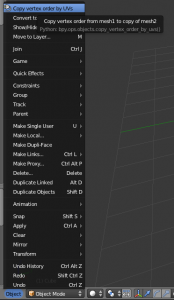 Creates copy of active mesh with vertex order of selected mesh. Many cool operations are only possible if vertex order matches. However, some external programs save the mesh back in other orders. The addon requires that the UV-Mapping of both meshes is identical. The UVs must be almost identical in both meshes, EPSILON defined at the begin of the script defines how precise they must match. But if you increase it too much the mapping will no longer be unique and it will also fail. If multiple faces have the same UVs you can get problems too. If you have only few such locations you maybe have luck with randomizing vertex order. You can use the Select By Index Addon to analyze faces that cause errors (see in console what causes problems). second step of loop: loop: expand mappings found in step one: candidate set is a vertex that was mapped in step one or two. Note: The Algorithm could be optimized. At the moment it is conservative in the sense that it verifies that a vertex is mapped to the same vertex for all its faces. It also checks all vertices of the current candidate set against each other. That way we are sure we find a single unique mapping. But since the candidate set is choosen by topological features it should still be orders of magnitude faster than any n*n approach just comparing all vertices, for meshes of a certain size. Selects the specified face/edge/vertex given the index. In face selection mode it selects a face, in edge mode an edge and in vertex mode a vertex. 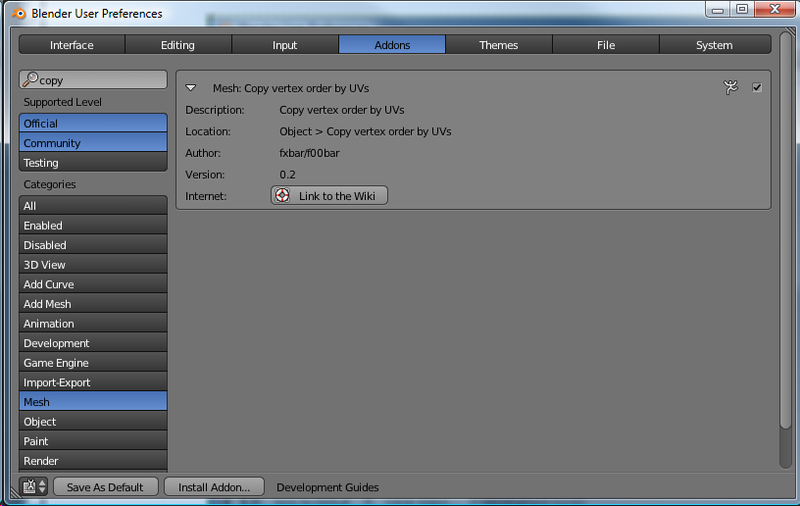 It prints to the console UVs and vertex indices for faces and vertex indices for edges.